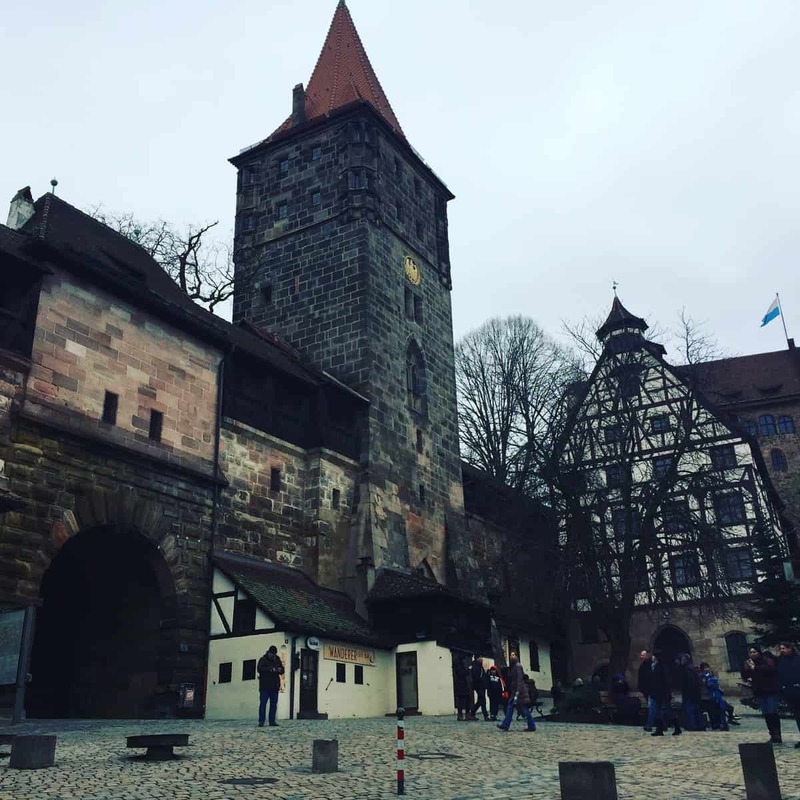 I deliberately chose to visit Nuremberg because I wanted to see the Palace of Justice. 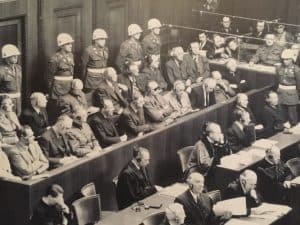 Over the years, I’d visited enough museums to have learnt a little about the Second World War trials of the Nazi war criminals – known as the “Trial of the Main War Criminals” – that took place in the city between late 1945 and late 1946, and my interest was piqued. 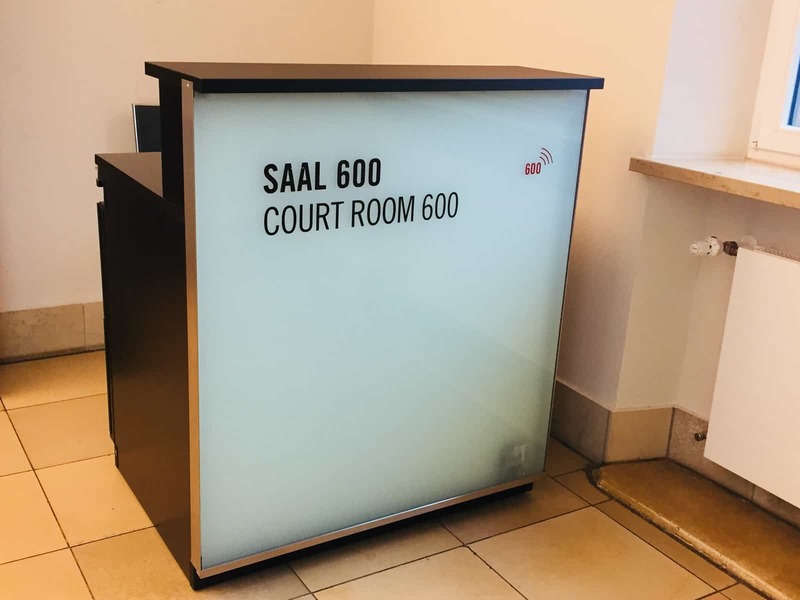 I had decided to visit the Palace on a Friday; I had read that this would increase my chances of seeing the actual courtroom that was used for the trials – Courtroom 600 (it’s still a working court and can only be accessed when not in session). So I was thrilled when I arrived to be told that it was indeed open and I could go in. 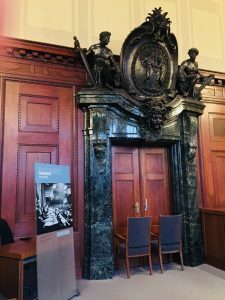 I don’t know what I expected when I entered – maybe something a bit grander given the significance of the place and the fact that the leading Nazi perpetrators of the atrocities that we are now all too aware of stood trial here? 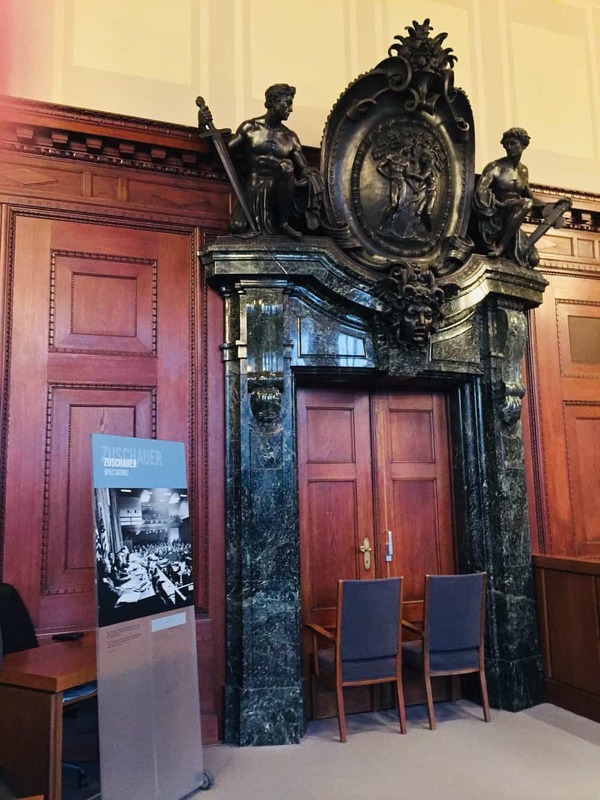 But the courtroom is quite small and fairly non-descript, save for the imposing and ornate marble surround around the door frame at the side and the chandeliers hanging from the ceiling. 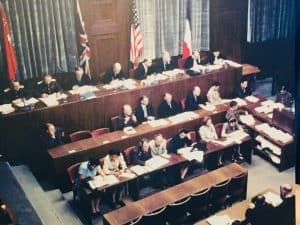 But once you’ve perused the archive photos displayed in the court and listened to the audio that comes with your ticket (which I have to say, is one of the best audios in a museum I’ve experienced), the significance of the court and the scale of the operation to hold the trials is starkly apparent. It goes well beyond anything we’re used to reading about today. Some of this could only be achieved because of the location of the trials in Nuremberg. I, like many others apparently, had mistakenly assumed that the location was entirely symbolic – Nuremberg had been a focus for Nazi rallies in the 1930s and a centre for the rise in National Socialism. 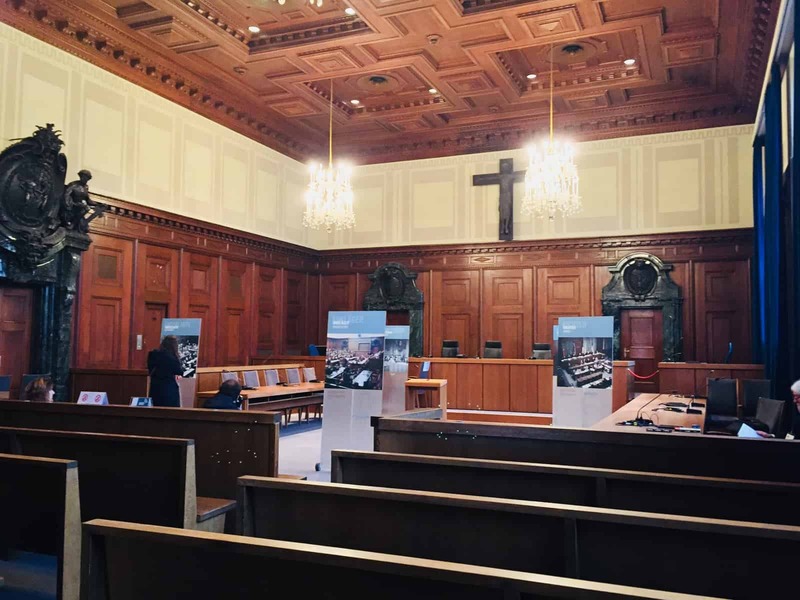 But the real reason was more practical and prosaic – Nuremberg had a court that was large enough to host the trials and was connected by an underground tunnel to a prison from where the defendants could be securely transferred for the court sessions. It’s obvious that security would have been a big factor in hosting these trials. The court needed work, however, before the trial could proceed – some rebuilding was needed to patch up the damage caused by Allied bombing. 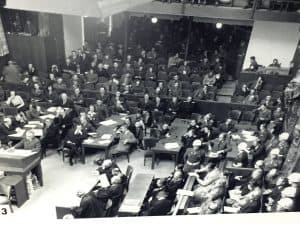 The main courtroom also required an extension, including the insertion of a balcony, to accommodate the sheer amount of public and worldwide press attending the hearings. The windows had to be blacked out as it was under here that the judges sat, and a dock had to be built to fit in all 21 defendants on trial. In total eight judges were appointed to oversee events – two from each of the leading Allied nations – Great Britain, France, the USA and the USSR – and interpreters for English, French, Russian and German attendees. This, together with the fact that the trial lasted much longer than anyone had anticipated, meant it became the most expensive criminal trial ever. 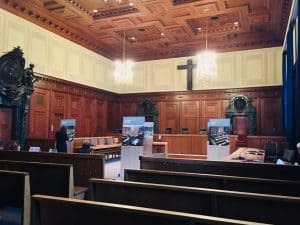 You can read more about the trials (or listen with your audio guide), when you visit the small museum on the floor above the courtroom. There’s a fascinating collection of photographs and video footage available and it’s worth spending some time browsing the displays. There are also pictures of the huge Nazi rallies that took place in Nuremberg and elsewhere in Germany, which quickly fuelled support for the Nazis (when you look at these photos, the sheer number of people attending these rallies was, to me, quite staggering). You can see also the courtroom in session and some of the leading war criminals such as Hermann Goering giving evidence, but the point is made that justice was not entirely served by the trials – some escaped prosecution by taking matters into their own hands and committing suicide to evade capture – Joseph Goebbels, Henrich Himmler, and of course, Adolph Hitler. 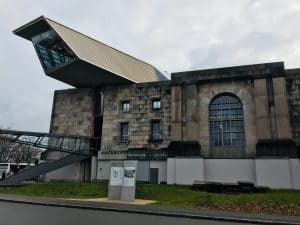 This museum is one of the best I’ve visited in a long while and shows the significance of Nuremberg in the history of the Second World War. However, it also has a wider significance beyond the initial trials – not only did it lead to further prosecutions against more peripheral players and Nazi supporters, but it was the first large-scale criminal trial and was a pre-cursor to the later International Criminal Court in The Hague. In its own words, it is a “synonym for the end of impunity for war crimes and crimes against humanity”. It’s somewhere we should all arguably visit. 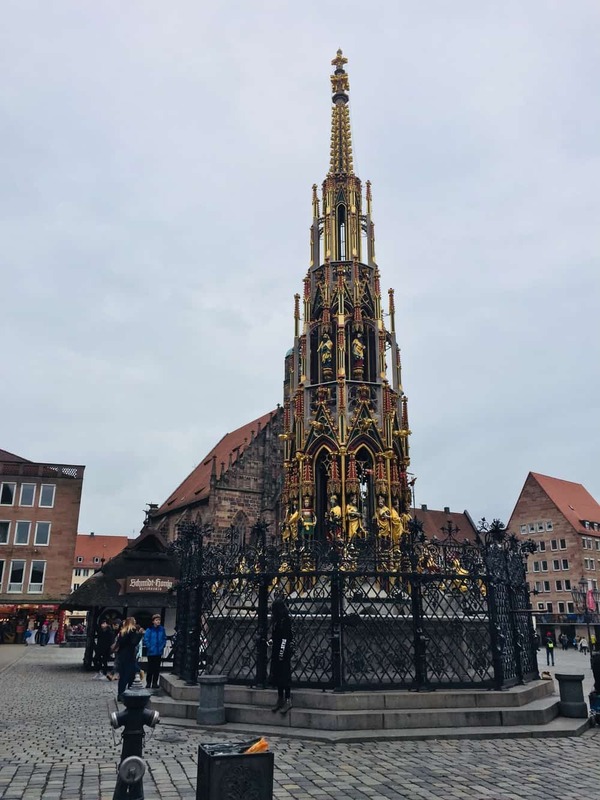 The city centre was not as chocolate boxy as I’d imagined for Bavaria, but that’s not surprising given that the old part of the city was largely flattened by Allied bombing, destroying at least 90% of the buildings. But there are a few surviving buildings by the castle and some relaxing walks to be had along the river. Look carefully and you will spot a few of the old towers peeping out over the city centre. There’s also a large ornate foundation (Schoner Brunnen) in the main square where legend says you can bring good luck on yourself by turning rings on the outside (however, I struggled to find them!). If you want to learn more about the Nazis in Nuremberg, then the Documentation Center Nazi Party Rally Grounds is a must. 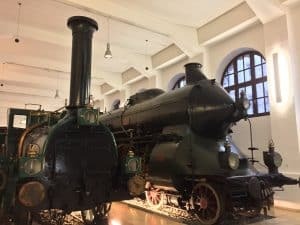 The museum has a wealth of archive materials showing the scale of the Nazi rallies in Nuremberg as well as plans that were being in put in place to build an utterly enormous rally ground within the boundaries of the city. This is a little out of the centre, but you can get there by tram from the city centre. There is also a train museum – the DB Museum – that will delight adults and children alike. 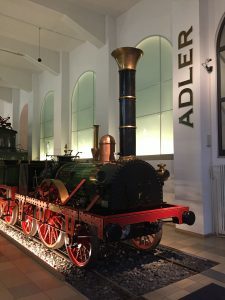 Along with miniatures of trains, depicting how they have changed over time, there are real trains on display that you can walk around, including an old Adler steam train and an up-to-date Ice (InterCityExpress) Train. Other museums include the Toy Museum, Albrecht Durer’s House and the Museum for Industrial Culture. Great post – a really fascinating glimpse into what it must have been like when the trials took place.